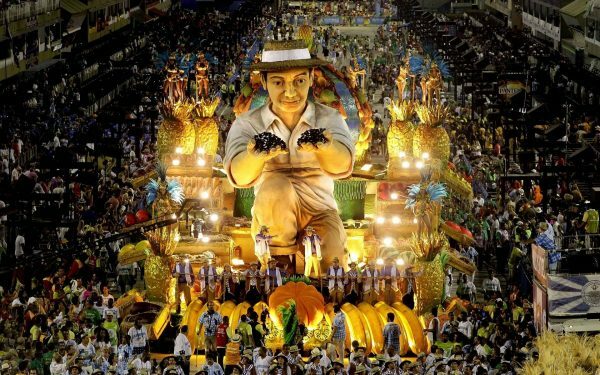 We have already talked about the Carnaval do Rio before on our blog, so to commemorate the start of the Carnaval today we wanted to focus on one of the most important elements: their Escolas do Samba (Samba Schools). The first Escola do Samba appeared in 1920. Immigrants brought to Brazil the tradition of getting together to dance something called samba. This generally took place in religious ceremonies, but African religions were illegal in a mainly Catholic Brazil, so these ceremonies and samba remained unknown to the white population for years. The Escolas started creating floats, dresses and flags to parade in the Carnaval, all of which continue to be the essence of modern Escolas. They are not ‘schools’ as their name would suggest, however, anyone can join their rehearsals (samba nights) and learn by watching others. The first official Escola was born in 1928 and was called Deixa Falar (Let me Speak) and they called themselves a Escola (school) because they were based right next to a children’s school at the time. By 1932 there were 19 parading in the Carnaval and by 1933 the parade was sponsored by the biggest media company in Brazil ‘O Globo’. Escolas do Samba represent much more than just a parade during the Carnaval. They are the community spirit of their neighbourhood; they represent unity and a sense of belonging. They are extremely important for their community, and highly organised entities – often involved in politics as well. Everyone in Rio supports a local football team and an Escola do Samba. There are more than 70 Escolas do Samba in Rio, but only the top 12 compete at the Sambódromo during the Carnaval, each with around 1500 dancers. The rest of the Escolas parade on the streets; anyone can join and watch the parades for free. 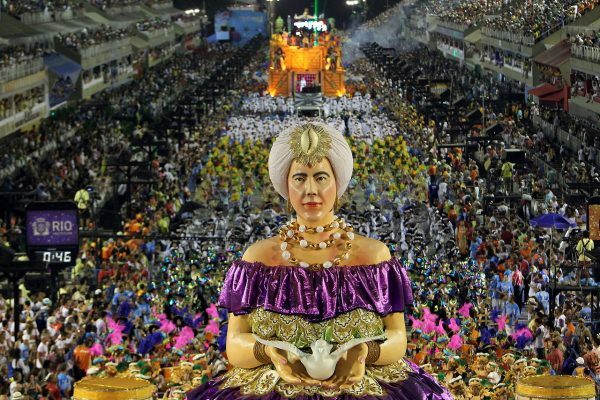 Competition is fierce, preparation starts as soon as one Carnaval finishes, and illegal gambling and corruption are usually factors that play a role, but in true Brazilian spirit the Carnaval is a time to enjoy the biggest party in the world and have the best time.